On Infragistics product ideas website there is a highly voted product idea titled “Use Nuget for Distribution”. 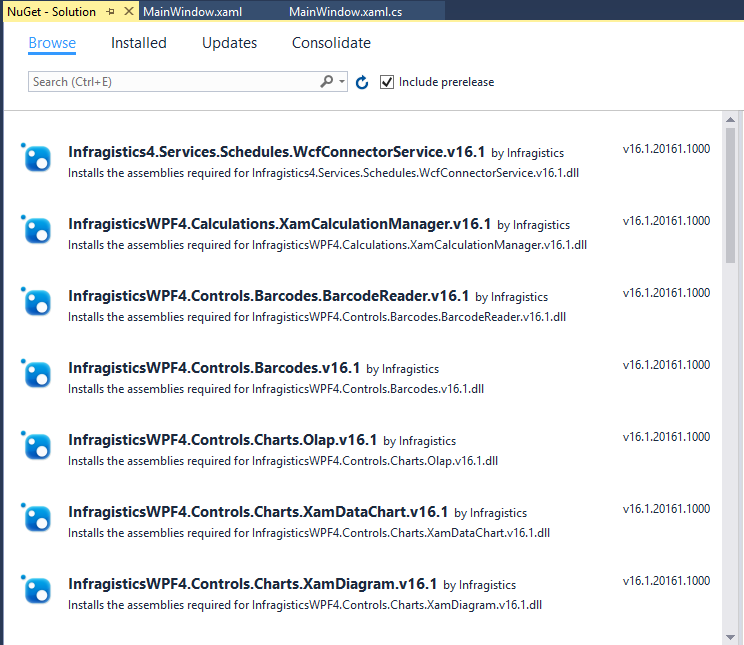 Well, it turns out that Infragistics does have NuGet packages for some of their products that are installed locally with the Infragistics Ultimate Installer. You just have to know where to look. Where can I find them and how do I use them? Good question! 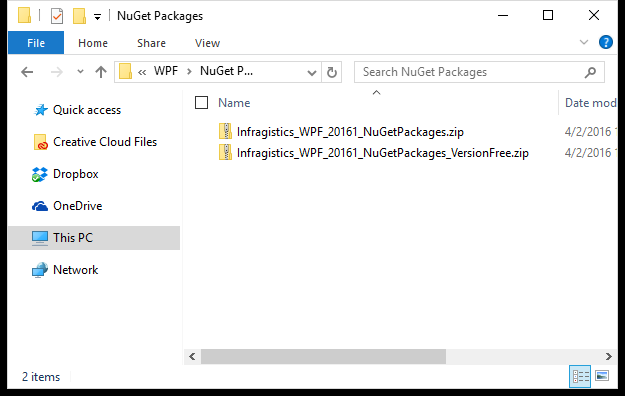 Simply navigate to “C:\Program Files (x86)\Infragistics\2016.1\WPF\NuGet Packages” and you will find two zip files. One for the standard assemblies and another for the “version free” assemblies. Extract the content of the zip file and you will see the available NuGet packages for all of the WPF controls. Next create a new folder somewhere on your hard drive to be used as the location of your local Nuget repository. 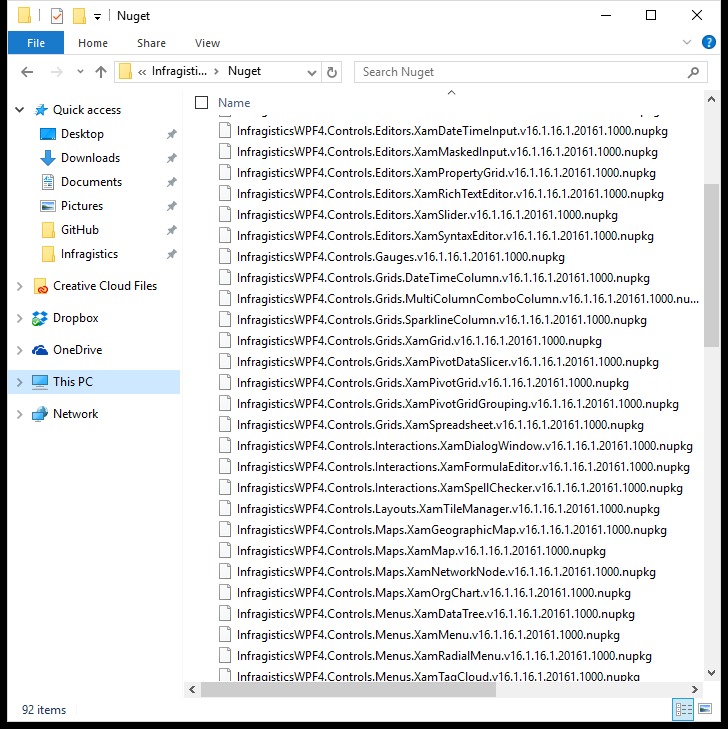 After you create this folder, copy all of the Infragistics WPF NuGet packages and paste them into this location. 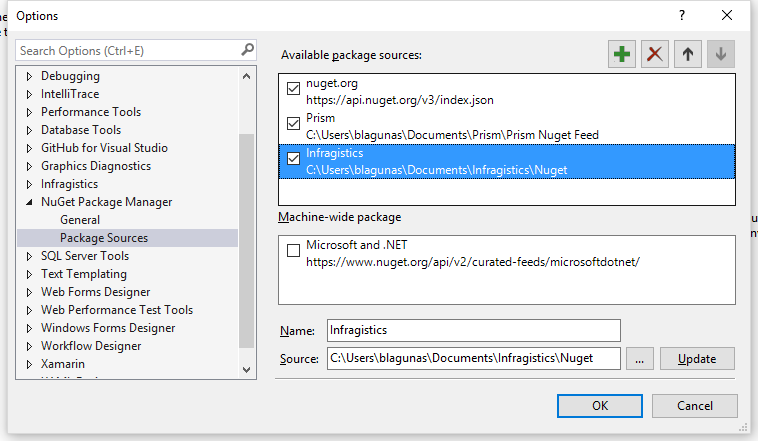 Now, add a new NuGet Package Source and set the “Source” to the location of your newly created folder containing the Infragistics WPF NuGet packages. Now, all you have to do is create a new WPF application in Visual Studio and open the NuGet editor. 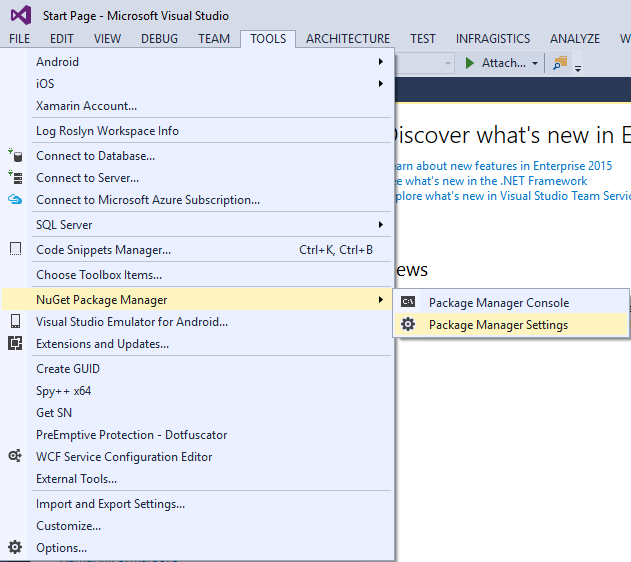 This can be done by right-clicking the solution and selecting “Manage NuGet Packages for Solution”. 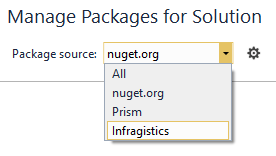 In order to add the Infragistics WPF NuGet packages you must change the “Package Source” to use the local repository you created in the previous steps. Once you do this, all of the Infragistics WPF NuGet packages will be available. Now search for the control of your choice, add the package, and you are ready to rock-and-roll! That’s it! It’s that simple. Now go have some NuGet fun. As always, feel free contact me on my blog, connect with me on Twitter (@brianlagunas), or leave a comment below for any questions or comments you may have.